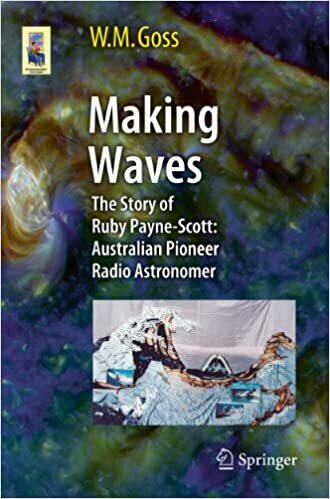 This book is an abbreviated, partly re-written version of "Under the Radar - The First Woman in Radio Astronomy: Ruby Payne-Scott." It addresses a general readership interested in historical and sociological aspects of astronomy and presents the biography of Ruby Payne-Scott (1912 – 1981). As the first female radio astronomer (and one of the first people in the world to consider radio astronomy), she made classic contributions to solar radio physics. She also played a major role in the design of the Australian government's Council for Scientific and Industrial Research radars, which were in turn of vital importance in the Southwest Pacific Theatre in World War II. These radars were used by military personnel from Australia, the United States and New Zealand. From a sociological perspective, her career offers many examples of the perils of being a female academic in the first half of the 20th century. Written in an engaging style and complemented by many historical photographs, this book offers fascinating insights into the beginnings of radio astronomy and the role of a pioneering woman in astronomy. To set the scene, the first colourfully illustrated chapter presents an overview of solar astrophysics and the tools of the radio astronomer.